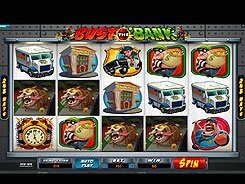 Bust the Bank is a Microgaming-developed slot centered on the bank heist theme. 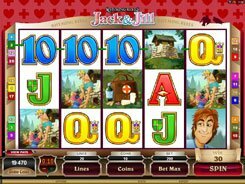 The gameplay takes place over 5 reels and 243 ways to win, so winning combos are not restricted to payline patterns. 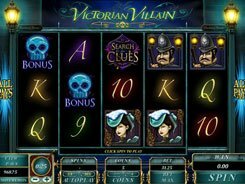 Having a cartoon-like design and funny imagery, the slot features unlucky bank robbers, formidable policemen, a time bomb, an evil dog and other themed symbols. A coin size comes in a wide range of $0.01 to $2, and the number of coins per spin is set up to 10. Therefore, the floor and ceiling bets are $0.3 and $600 respectively, to suit all budgets and betting styles. 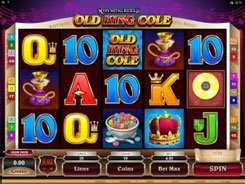 The first-largest jackpot of x1500 a bet is awarded for five robbers with a heavy sack of coins or five scatters represented by the cannonball with a burning fuse. 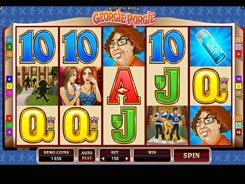 Three or more cannonballs trigger 8 free spins. 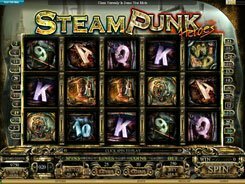 During the feature, the first and the fifth reels turn wild until the free spins end. If you roll up the Safe symbol on reel 1 or 5, it cracks open awarding you a decent cash prize. Besides, the Piggy Bank on the middle reel can bring you even more loot.